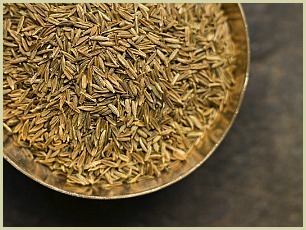 I find the history of spices fascinating, and the long history of cumin (Cuminum cyminum) is no different. Whenever I do research, I'm always learning new and interesting facts and info. Cumin spice has been excavated at a site in Syria (Tell ed-Der) which has been dated to the 2nd millennium BC! As a native of the Mediterranean and the Nile valley of upper Egypt, it's no real surprise it was used by the ancient Egyptians not only for cooking but also ritual practices in their temples. Also a well known ingredient in ancient Greece and Roman times where it was used at the dining table in much the same way we use pepper today. You'll find cumin spelled as cummin in the Bible in both the Old and New Testaments. 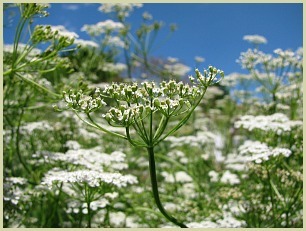 The above passage refers to a way of harvesting the ripe seeds by thrashing the cumin plant with a stick. And even today, this ancient thrashing technique is still used in some parts of the world. I suppose it's a case of "if it isn't broke, don't fix it." During the Middle Ages it was popular in Europe, and in Germany at this time, a bride and groom would carry a small amount of cumin seeds as a show of commitment to each other. About 400 years ago, Spanish and Portuguese colonists and traders, introduced it to the New World and Americas after their journeys throughout Africa. Around this same time period, India and South East Asia finally got their hands on cumin seeds thanks to the Ottoman Turks and their travels in the region. After the Middle Ages, it fell out of favour throughout Europe, before slowly being rediscovered and regaining its former popularity. Like most spices in times past, it was valued not only for its culinary qualities, but also for its health and medicinal benefits. And today studies have shown that it does have benefits for your health and well-being. See the cumin health benefits page for further details on the therapeutic properties.